With the help from 3D Systems and enough equipment to manufacture in the workshop, by hand, at-least tens of units at a time, i am redesigning some aspects of the system and upgrading software features as well as hardware aspects for a release of the product line in the near future. Although there will be news posts on the Front Page every time something major happens, i shall mostly maintain this blog until the first production batch is complete. Additional news and small updates shall also be posted on the OSRC Facebook and Twitter sites. If you would like to participate in the design or contribute with your ideas and even help with project development then feel free to post about it in the Forum, since that is the first place i shall be looking every morning. Subscribe to this blog to stay updated and enjoy the new site. I started a new Forum Thread where i explain the things which i shall be changing for the updated release. Feel free to submit your own ideas and suggestions as i work on the redesign of some key features. The year is coming to a close so an update is in order. Seems that as the budget becomes lower and lower, the need to go backwards is even greater. Although initially i was informed to have a 3D printer for the enclosure manufacturing, it seems not to be the case after all. I must admit that i personally did not get the info about the 3D printer but through a very good source with whom i have been working for a long time now. On the other hand i didn't expect to receive it anyway, just kept my hopes up nevertheless. Why going backwards? Its like those old games in the day (e.g. Syberia - which i really loved to play), where in order to progress you need to do another 10 tasks. Get a wire, to place it in a machine, to start the machine and let another guy do something and so forth.. Since the budget doesn't allow a proper 3D printer and at this point it is the only way to progress with the project, i begun working on an SLA printer of my own. Specifically designed for a large work area and high resolution results as well as reliable functionality for long hours and repeatable builds. Did lots of research and seems that the DIY DLP, Laser based or in general, Light Wave curing Resin based printers on the market are either not available yet (e.g. Form 1 or similar) or have a really small work area and for some reason cost 3 to 4 times more than it actually is worth. For the 3D printer part i also created a separate group in the Forum as well as in the Blogs, so feel free to post your thoughts about it there. I already made the contacts for the material part of the build, hardware components and everything else required. The designs for such a machine are also almost complete. The only drawback as with everything at this point is the budget which i hope to at least get high enough for the project to keep going. I am also happy to say that the OSRC design you got to know through videos and pictures shall not be the one i am going to be manufacturing but a completely new and improved design of it. While doing everything else required for the project, i have been working on a beautiful new look and functionality for the system which is going to be the future framework for all OSRC equipment. For now i guess this is all the news, nothing to show i am afraid since everything new is still on paper or in design stages. Since the year is coming to an end, i would like to wish everyone a happy holiday season. Also i would like to thank everyone who is following the project for their support, since it is in most cases more important than any budget. 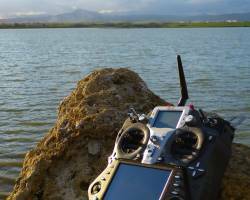 FliteTest was kind enough to talk with me and discuss the different aspects of the system. Although there are tons of aspects that were not touched in the video, it still gives a great opportunity to everyone of introducing the project and its status. Miraculously (and i really mean that since it was by no means planned) at the approximately same time, i initiated an IndieGoGo campaign for gathering funds and building the 3D printer i need in order to produce the parts for OSRC. If you are reading this update while the campaign has still some time left before coming towards its deadline, i strongly suggest checking it out and helping with the project since it is crucial i overcome this obstacle and progress with the development and release of the system. Additionally the campaign gives the opportunity to those who are planning on purchasing the system in the future, to be first in line once the system is released since quantities shall be limited. Those who select the campaign perks for the machine it self or a perk related to the subject shall also be deducted the funds of the enclosure parts, thus getting the system even cheaper. I am happy to say that the IndieGoGo campaign was a complete success. Enough funds were gathered to build multiple machines besides the one for the OSRC development. A news article was posted few hours after the end of the campaign which describes the future plans of the system. This entry shall be the last in this article since a new one will be initiated once OSRC development resumes. Meanwhile feel free to visit the Forum and post your thoughts there. I would like to thank everyone once again for their support and and quite pleased to be able to keep working on the project and collect enthusiastic members within the OSRC community as well as help it grow. This project sounds very cool. I just got into RC flying with my son and we watch Flite Test. Which is how i learned about your project. I do allot of work with Open Source Software and was thinking of how i could build a custom solution for the planes. I am really interested in purchasing your unit when you have them available. I know i am probably late on getting on the order list. But i would like to get one as soon as possible. I would also pre-pay to get one of the advanced units. Thank you for your positive feedback. Once OSRC becomes available i shall most definitely post about it on the site. For now it is not ready for sales yet and i do not take payment upfront for something that is not complete. I have great faith in your ability. I would like to purchase, in advance as a sign of support and faith in your great project. You mention potentially starting production, I am happy to pre pay for a unit with HITEC and Futaba interface with gyro sensors for pan and tilt. Also, please pm me as I have access to much private investment funding if you would be interested. This is a serious enquiry. Thank you Gus for your warm feedback. I really would prefer to finish the system first before i begin selling it. Work is at its prime now and i am deep into the system development so the best thing anyone can do right now is just be patient. I am trying to make something completely unique and different for the RC community (even more unique than the original prototype of the system). It looks terrific and has all the potential to be a one size fits all solution! I will certainly be following this, and hopefully one day (near future crossing fingers) be available for all RC enthusiasts . Thank you :) Always nice to hear acceptance and positive feedback. Hi How long until these radios are available ? I am heavily interested in one. Any Idea on cost as yet ? What about RX's ? Is there any other websites for purchases ? Thank you for showing interest in the work that i do. I know; it's NEVER that simple. ;) Just thought I'd suggest it as a possible tangential move forward; sometimes tacking against the wind is the only way to make progress. I fully understand the huge can of worms the suggestion opens; it would be a very slippery slope wherein the lines begin to blur and you might lose ownership of some VERY valuable IP. I'd be afraid of it too if I had as much toil involved as you clearly do; and rightly so. I wish you the best of luck; and feel free to email me at the address in my profile if I might be able to assist. I'm an electronics engineer myself with almost 30 years' experience in field work; I've been the father of invention more than a few times myself. I'd be proud to be able to help. Tnx Paul, i appreciate your support. However, based on this blog and others, as well as the news section, a different path has been chosen for OSRC production, which does not require injection molding. Keep monitoring the news to stay updated. If the biggest holdup on moving forward with this project is moldings for the modular enclosure... perhaps a package of the bare hardware and software might be made available for those of us who'd prefer to incorporate it into our own custom platform enclosure anyways? I can think of at least a dozen people in just my own local RC community who'd be lining up for the kind of technology you're suggesting; I have no doubt this could be a great source of both funding and press for you to move forward with your ultimate goal of building the ultimate remote control system. Food for thought; thought from food. Hopefully, with the 3D Printer available in the shop, things can change. Thank you Tony, glad you like the project. Keep monitoring the Facebook page and the news here for more updates. Hi Demetris, great work, congratulations . I am beginner in this RC world, but I am learning a lot. If you release the Controller this year, for sure I will give it myself as a cristhmas present :-). Give me a price for 2 units. Lets talk $. Tnx for commenting and please read the article above. I watched your interview on flight test and the videos on your site and I am completely blown away! You have to be at least 10 years ahead of JR and Futaba! I will be watching for availability! I am a software engineer so I love the idea that the code is open source! People just don't realize how endless the possibilities could be with this system. I can't wait to get my hands on one to try it out! Will your system support the new JR DMSS protocol? I only ask because I have been a JR nut for years and only use their products. I've invested a good chunk of money in upgrading all my planes to DMSS. I am currently using a DMSS module in my 10X. So the idea that I can plug in my DMSS module into your new system is really cool! Anyway, good luck and I will be watching! I've watched your interview to "Flite Test"! And I'm absolutely impressed of what you are doing with your project..
That is just fantastic - go on! I'll stay tuned and keep an eye to the progress of your project and guessing that my next RC system is a OSRC! I really wish I had the money to support your project in a way that leeds to the next generation RC system market leader. There is still a lot to do but with the 3D printer campaign funded, the OSRC project is one step closer to reality. I'm working as fast and as hard as possible to produce the best product possible and still stay within the Open Source realm. Once again thank you for your support. Spread the word, since exposure is the best gift the project can have right now. I've just stumbled upon this today and I just had a few comments. Are you sure that home brew 3d printing is the way to go? Most of the resin systems I have seen give good results but not great results, and certainly the strength of the printed part is at best questionable. I have a few of the rep raps my self and I've looked in to the resin printers and they are great for making prototypes but I am not sure they will make a great product. All I am saying is you need to see what the output of the printer is, i.e. what the actual printed part looks like before shelling out lots of money. I know the feeling of wanting to do it all yourself but often it is better to, and you will get further quicker if you keep control but let the pros work for you. You could always speak to a few 3d printing "big boys" and get them to print you samples. You should get a far better result using the $300k printers and you should be able to get a deal for a limited run. Finally you need to turn a profit so that you can re-invest in whatever choice of manufacturing route you are going to go down. I wish I had £1m to fund your project as I personally think that your ideas are great and you seem to have the brains to back your ideas up. PS If it win the euro millions I will be in touch! Thank you for your feedback. An SLA printer is an SLA printer no matter if the 10k machine is chosen or a 300k. The difference is in how it builds the part, what size and how fast. Since the resin in all SLA printing machines is more or less the same and is cured through the same UV light i believe that the current Ilios 3D printer is a very reasonable compromise and quite a reliable machine for its purpose. The material of the final product is not everything since the model it self needs to be structurally different and shall more than withstand whatever abuse it is under. I strongly believe that the end result shall be as good as any other conventional material since there is more in the design than just the method of construction and it's raw chemistry. A good example would be the Eiffel tower. Although at first it seems like a simple construction, it has been mechanically engineered to be as light as possible and as strong as possible. A quite good read for those interested in mechanical and structural integrity. I really wish you the best within this re-search/produ ct lunch! It is in fact one of the best "Systems" which I have every seem, therefore I congratulate you for this wonderful development. As an Idea, For what I have seem, you have already lots of fans WW (As my self, a Brazilian in Germany); you could make a proposal for us, put it for a pre-sell 500-1000 units with the commitment that a early payment will be done and IF not works 70-80% of the money will be reimbursed within 1- 1,5 year time. I think this is reasonable and a great investment for all of those who love this hobby and will to go further. Thank you for the support and your suggestion. In order to make 500 - 1000 units the manufacturing would have to be different though. Since the 3D printer manufacturing way is now going to take place with the funds i gathered, only once the final 3D printed OSRC is made i shall know the price. Without the final price it would be quite difficult to make promises upfront. I shall initiate a forum post about this with a Poll. If enough people vote then i have no problem of doing it. Once again thank you for your support. Definitely a great idea. I hope you will get he funding together for your printer. I just send you some funds as well. Love to know more about the project, I have some ideas where your remote comes in very handy. Can you contact me of line ? Tnx for your support. Don't know if you read any info about OSRC but i don't even have enough to make a 3D printer at this point, not to mention bills, expenses and other money-hungry aspects. steve Email me and let me know when. The status of the project can be clearly seen in the article. Feel free to monitor for any updates. There is an IndieGoGo campaign currently in progress to collect funds and make production. Feel free to contribute and be one of the firts to get the system when it is out. Tnx for the feedback. I'm sure that when time comes, most people will be able to afford it since it won't cost more than other controllers. Let me know the cost of the above model and If ready I am ready to purchase. No, the system is not ready for sale. Read the above article to find out why. Yes, the second operator may operate the camera at the same time. I am a UAV Developer for a small hobby turned business and I am very impressed with your fully adaptable system. When the product is available I would love to incorporate one into one of our UAVs. Can you install aditional software into the FPVC such as a Linux-based mission planner? Thank you for the feedback Hunter. Yes, you absolutely can. I wihsh you the very best with your project. I would love to be able to purchase one in the near future. one with a very low Serial #. I believe I am your fir 190euro contributor.. Good luck I hope you make it! Eveyone please contribute to the project! Thank you Isaac, i truly appreciate your support and contribution. This is an amazing and revolutionary product and idea you have!! I cannot wait to get one in my hands! Absolute maximum for all bells and whistles should not be more than 1200 EU as well as absolute minimum for a basic system to upgrade later on should be in the range of 300 - 500 EU however this prices should not be taken as a standard since exact pricing shall be only revealed when the system is complete for distribution. 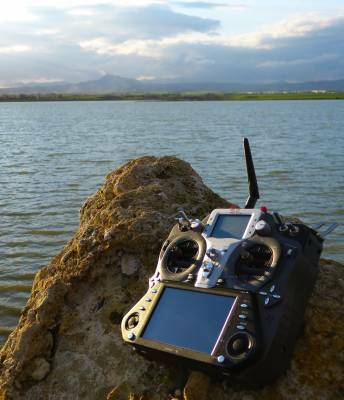 That would include an Android FPVC system on top of all OSRC RF cloud techniques and GPS, FPV equipment. FPVC Advanced has a Video IN as well as OUT to input video directly into the processor. And i never thought i would need to upgrade, but when i got the Dx8 i could not believe what i have been missing. And this looks like the step up, at the moment i have a car dvd screen hooked to my RX for FPV, this would be a great step up. Do you plan to have a Video in port on the screen so you can use and RX? Also i understand if you have no idea what the price will be for a full unit, but could you give a ballpark figure? I do have an exact idea about pricing but it shall depend on the manufacturing scheme i shall use which in tern shall depend on the budget i shall have. Some pricing is described in the FliteTest video. A descent setup OSRC with medium features (which is still plenty) wouldn't be priced higher than other brands. For the features feel free to browse the blog as well as read the Products section of the website. Specifically the FPVC modules if you are interested in FPV. Both of them have Video out besides other features already. see i appreciate the comment but i am still in the dark, let me reformat my question. What is the absolute most you would expect the full unit to cost, with either manufacturing process. Also Does it have AV in, not Av out? OSRC would definitely be suited for your application since this is one of the reasons it was initially created. You also don't need as much hardware to make this work if you use OSRC. Just saw you on flight test and wanted to say thank you for your hard work and dedication to your project. I'm very new to the hobby but have been very interested in it for a while. I'll be spreading around your link to indiegogo and trying to donate some myself. I've been a 'maker' for quite some time so I have a soft spot for open source hardware. 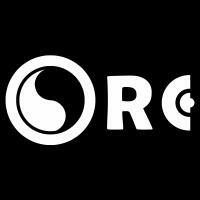 You may consider contacting the crew at tested.com They have a huge following (at least in the US) and very often feature open source projects and help them get exposure. It may not work but just wanted to suggest it. Thank you Travis for the positive comment. Shall definitely check out the link. Just saw your Flite Test interview. I am very excited about this project, and cannot wait until they are available. One question: You mentioned trying to get a 3D printer to produce the parts. Is this just initially? It seem that some sort of injection molding would be a more efficient way to manufacture. Are the parts to complex for that method? Tnx for your support. Injection molding is the optimal solution but requires a large initial budget an a minimum quantity of 1000 units. we are talking about 600 000 EU or more. So i have to work with what i have any aim for the minimal budget to progress since nothing else is available. WOW, wish I was in a position to finance this project. I think it is GREAT!! I know you get this question everyday, but do you know when the next run will be ready? Tnx, appreciate the thought. Same to you and all the best in the new 2013. Thank you for the feedback. Currently i am awaiting for some equipment to arrive to begin manufacturing in small quantities. Meanwhile i am working on some changes on the system about which i also posted in the forum. Although the project is not yet available for distribution, it shouldn't be long until first units are sold. Glad to see the system still has a chance on getting on the market, I have not been on the site for a while. But seeing this site gives me new hope that there is still a possibility to get one or two untis.